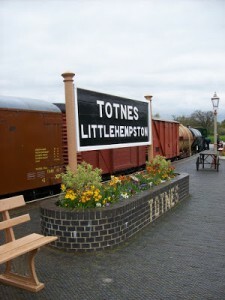 Refreshments are available at all of our stations and even on some of our trains! 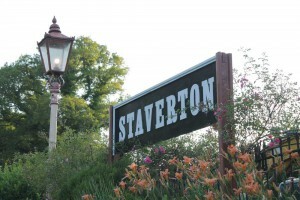 Why not try some of the local produce on offer or even take home some Devon fudge as a memento of your day. 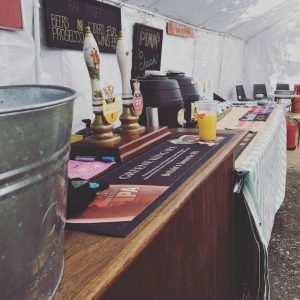 A Bar is available by the Entertainment Marquee, as well as on some of our trains, and will be serving a selection of Beers, Ciders and Wine. The refreshment rooms will be open from 9am to 6pm each day, you will be able to find hot and cold drinks, snacks and meals. They are also offering a war-time specials menu so do be sure to give it a try! 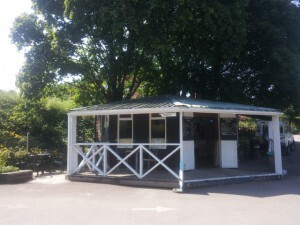 The bridge kiosk is open throughout the weekend and will be offering pasties, snacks, hot and cold drinks. Our Bar will be serving fine real ales, cider and wine alongside the BBQ which will be located off the Entertainment Marquee. Sit back and enjoy some refreshment whilst soaking up the sounds of the Forties. 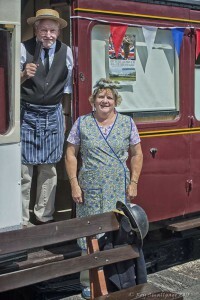 The Buffet Coach at Staverton has been commandeered by the NAAFI and is providing teas, coffees, cold drinks, light snacks and cakes for all. The Rare Breeds Farm Cafe is serving hot and cold drinks, snacks and refreshments.